Route: This is one of my favorites: Very fun, diverse trails that are technical in spots–but runnable enough so that you don’t get bogged down with a lot of hiking–and just five miles from our place in Arkansas. From the trailhead, I ran the Falls Branch Trail counterclockwise until I got to the waterfall, where I hit the Dam Mountain Trail and ran the entire loop back to the waterfall counterclockwise. 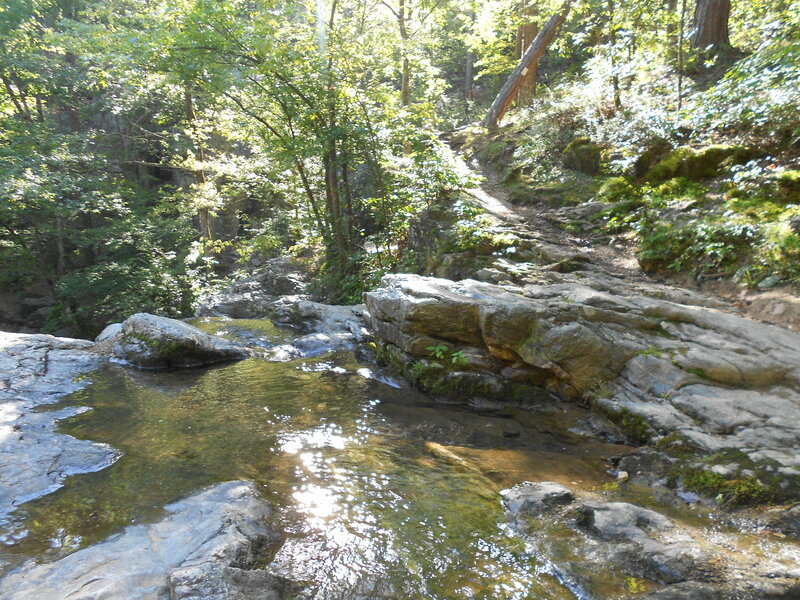 I then finished the Falls Branch trail back toward the trailhead, where I hit the Horseshoe Mountain Trail. Ended with another loop on Dam Mountain Trail, clockwise this time. 10 miles total. 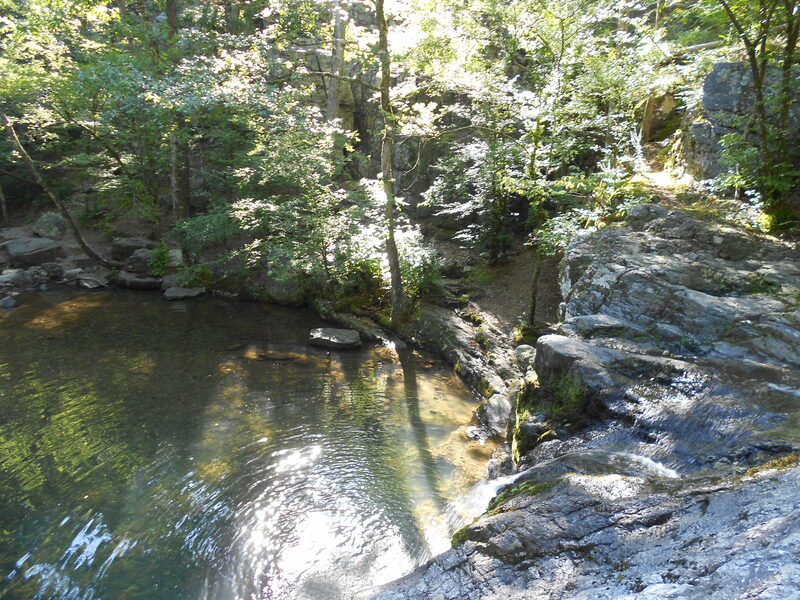 The stream at the top of the waterfall, with the entrance of the Dam Mountain Trail just beyond.